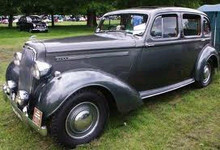 Further improvements were introduced for the Humber Hawk in 1950 and the model was re-designated Hawk IV. 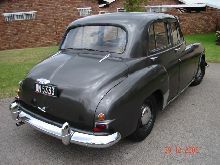 The Hawk IV had revised steering and a new 2267cc version of the four cylinder sidevalve engine which resulted in a slight performance improvement. Externally the Hawk IV looked the same as the previous version which was still only two years old. 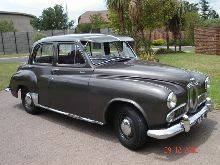 A much improved Hawk V arrived in 1952 which introduced a touring limousine body option and some minor chrome changes. 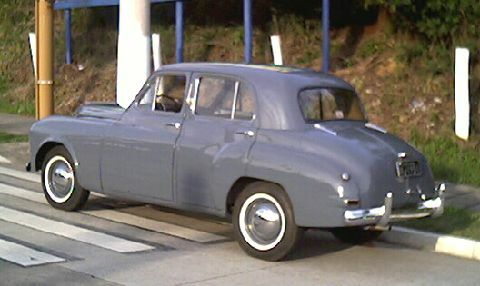 Production continued until another facelift arrived in 1955. 8' 9" 4' 9" 14' 6" 5' 10" 0 (25) 0' 0"